2018 Edition>Workshops>WS 10・ATS® Movement Dialect with the skirt – Drama! Color! Energy! WS 10・ATS® Movement Dialect with the skirt – Drama! Color! Energy! Use your full ATS® skirt and move it staying in your improvised dance format. The skirt adds color, energy and quite a bit of drama to your dance! In slow ATS® we will find surprising accents and beautiful framework with the skirt, highlighting lines and shapes. 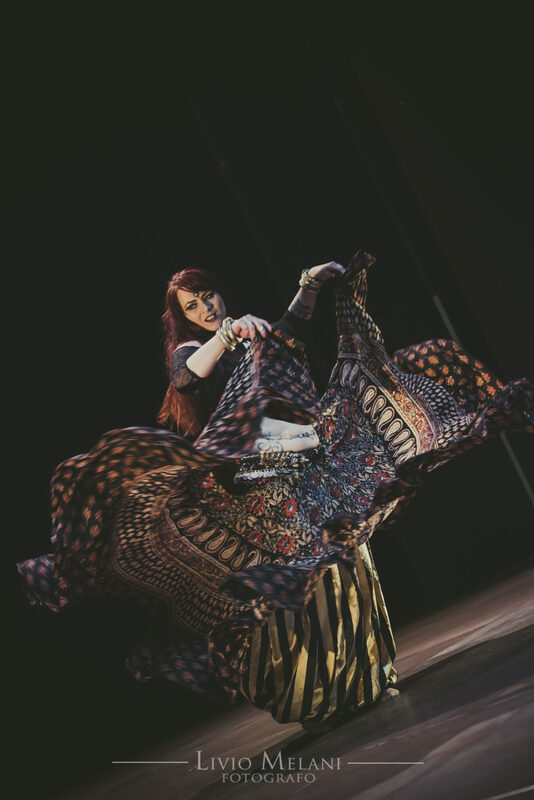 Based on steps from the ATS® Bellydance vocabulary I’d like to inspire you to play with your skirt. I’ll show you my adapted movements and give you some ideas how to create your own variations. Please bring an ATS® 25 yards full skirt.